“My Prayer is Your Prayer, too” was the theme for 2012’s World Day of Prayer, held at the One World Spiritual Center, in Marietta, Georgia. Although this was the first interfaith prayer event at the Marietta center, it was Dogwood Local Council’s second year to participate. Last year, organizer and host, Rev. 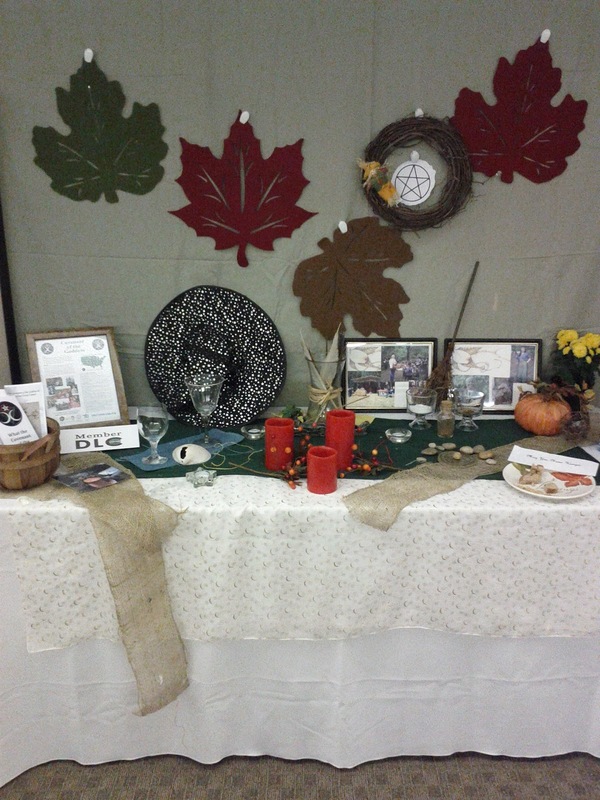 Sydney Lindquist, invited us to Gainesville Unity’s World Day of Prayer for which we created a beautiful elemental altar. 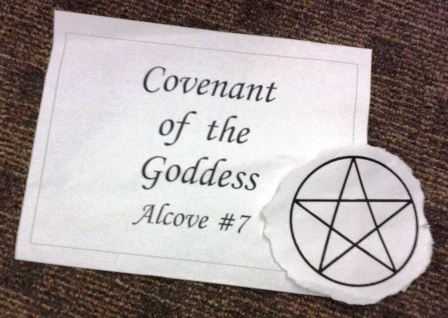 We also contributed to the prayer book and various members offered Wiccan prayers for the hourly blessings. The event was widely successful and enjoyed by many members of our community. More importantly, our presence was so well-received that Sydney asked us back to this year’s event, now held in Marietta. 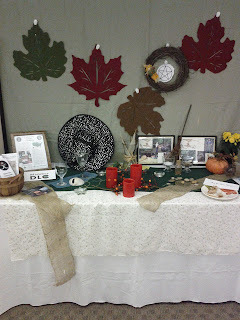 For 2012, we created a harvest altar complete with pumpkins, fall mums and a real apple cake. Our Wiccan prayers were printed in the program and I, personally, was able to offer a special prayer for the 11am hourly blessing. Unity – You are a vacuum that desperately seeks to be filled with the wisdom that can only come from another’s experience. Unity – You are the spirit that begins deep in the Earth, rises through trees, upwards radiating out, touching everything, all that there is, and, then, ascending into the heavens. Unity – You are that same spirit that, then, rains from above bringing us light and nourishment. Unity – You are the nurturing hug of a mother, gifted to our world. Unity – You are the single force that builds community and, only through you, can we find peace. Unity – You are the many voices that can become one voice only through the harmony of diversity. Unity – You are our hope. Unity – You are hand that holds another in friendship and trust. May we always find the courage to reach out to you and invite you into our lives with respect and dignity for all. The prayer vigil began at 7pm on Wednesday September 12th and lasted a full twenty-four hours. The large, otherwise unadorned, church room was dimly lit with a faint smell of incense filling the space. In the background, music played ever so quietly to ease the transition from the outside world into this sacred experience. The tables and altars, from fifteen different faiths, were setup around the perimeter of the room with a small stage and podium at one end. In the center, they had placed a cloth adorned with a giant painted labyrinth. Talking was kept to a minimum and shoes were not allowed in at all. During the 24 hour vigil, people could come and go as they pleased in order to experience the difference and sameness in the way humanity prays. For me, attending was a spirit-opening experience that bonded me to others in a unique way. It helped to find the common ground or path, if you will, through a forest of spiritual differences. The World Day of Prayer ended with a drum circle and Peace Concert on Thursday night starting at 6pm. This year, we were able to add our time and energy to the Concert. Accompanied by Eibhlean’s skilled drumming, I chanted a variety of different Wiccan songs to introduce the audience to the vibrancy of Pagan sacred music. The experience was well-received and, once again, we were asked to come back again next year. And, I really hope that we do…for our sake and the future of the humanity! 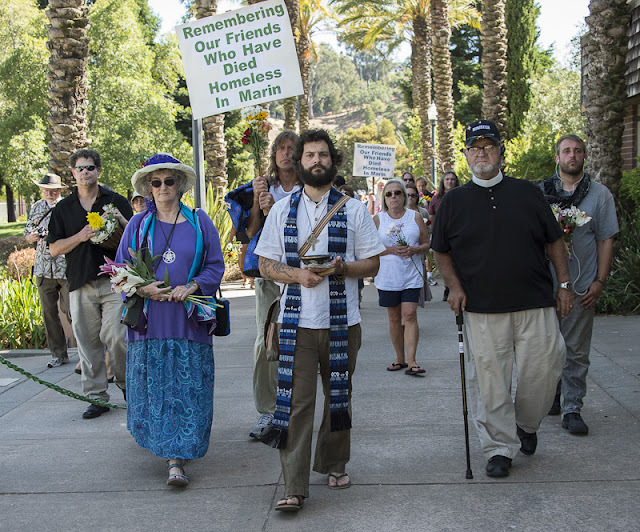 In late July the Marin Interfaith Street Chaplaincy memorializes the homeless of our county with a gathering, march, and brief program. If I am not away from home, I participate. This year was a bit different, in that there was much less diversity among the interfaith participants. After we are called together with drumming, often a Buddhist will light incense and offer a prayer to bless the endeavor. There was no Buddhist there this year, although there are several Buddhist congregations and at least two prominent Buddhist retreats in the county. Nor were there any representatives from any of the local Jewish synagogues, as there have been in the past. Nor was there a contingent of Dominican Sisters like I'm used to seeing. I'm guessing this is because the date conflicted with other important matters these folks needed to attend rather than being due to disinterest. In any case, I was surprised that the only speakers from the religious community were about four Protestant ministers, including my colleague on the Justice Advocacy Team at Marin Interfaith Council, the Rev. Liza Klein of San Rafael First United Methodist Church; one priest from St. Raphael's; and one Pagan, yours truly. We gathered in the plaza in front of St. Raphael's, near where a tree was planted by this same group about ten years ago. I took the two photos below a few years ago; the tree has grown larger now. My contribution was a prayer to the Mother of Justice, followed by singing of a beautiful round called "When We Are Gone," written by Anne Hill and Starhawk and published in The Pagan Book of Living and Dying (as is the prayer). We have done this enough times now for some of the people to know the song, so the singing was fuller, richer, and sweeter than it's been in past years. Sometimes people ask why I do this. The answers are many, but the main one is that there are Pagans among our nation's homeless, and they have told me how much they appreciate seeing a Pagan face among the speakers. They have also said they're glad to see acknowledgement of goddess worship. * Ron Greene has several entries on the homeless in Marin, accompanied by moving photos, on his blog site. In this photo, I am in the left foreground wearing purple and a big pentacle.